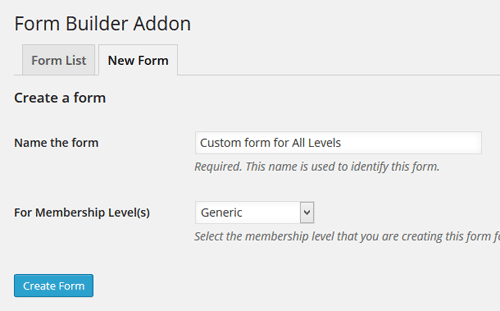 The eMember Form Builder Addon allows you to create registration and edit profile forms with custom fields. WP eMember has a feature that allows you to control which fields appear on your membership registration form. It also lets you add your own custom fields to the registration form. 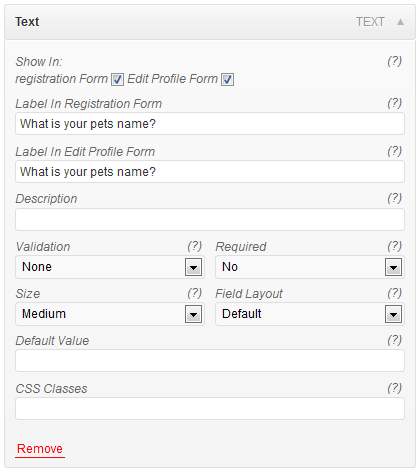 The form fields customization documentation has details of this core plugin feature. However, we have found that a few businesses out there need more flexibility in terms of customizing the form fields of the membership registration form. This addon was created to solve that issue. It allows you to create registration form(s) with whatever custom fields you require using a drag and drop system. 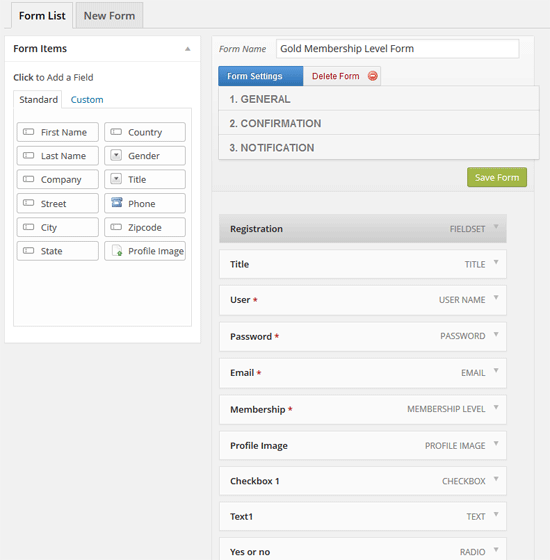 The following screenshot shows the various types of custom fields that you can add to your membership registration and edit profile forms to collect details from your members. You can also create fields that are “ReadOnly” so your members can only see the content of the field but can’t edit it. There is an option to create “Hidden” fields too. Hidden fields are not visible to the members (only admins can see the content of the hidden fields). You can create a custom form for each of your levels. 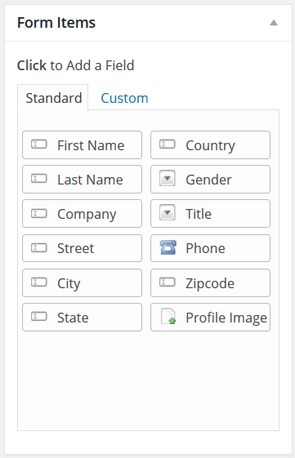 However, you should create a “Generic” form first that way if you don’t have a custom form for a specific level, it will use the generic one for that level. After you hit the “Create Form” button, you will be in the form customization interface where you will be able to visually add or remove fields for the registration and edit profile forms. Show the field in the registration page only. Show the field in the edit profile page only. Make the custom field a required field (so a user has to enter a value in that field). 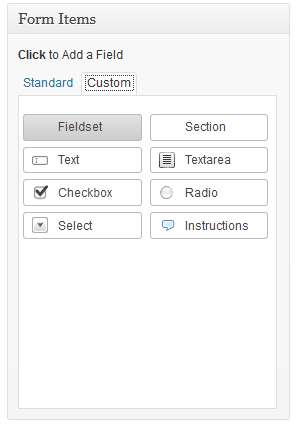 Make the field read-only (a user can only view the value of that field, edit is not allowed). Show the field in the admin interface only (so only admin user can enter value there). How do I show the Custom Form? The custom forms you create in the form builder addon works with the existing registration page (and the registration page shortcode). The same goes for the edit profile page also. You don’t need to do anything else other than to just create your custom forms and save the forms. When your users visit the registration page, they will see the appropriate custom registration form (just like the standard eMember registration form). Don’t go to the registration page directly and expect to see a particular custom form. If you want to put a registration form for a particular membership level on a page for whatever reason, you can do that using the standard shortcode. Read this documentation which explains how you can put a registration form for any level on any page. 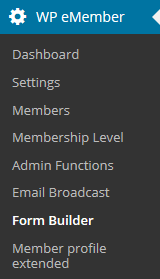 The site admin can go to the members menu of the eMember admin dashboard and edit a member record to view the custom fields of that member (just the same way you would view any other details of a member). Also, if you have enabled the “Send Notification to Admin” option for the “Registration Complete” email, then the admin will receive the custom field values in that notification email.